Low-key style doesn’t have to be underwhelming. Minimalism doesn’t equal plain. Simple engagement rings are refined, cool and chic. These rings are the jewelry equivalent of your cool best friend, the girl everyone loves. She’s not a supermodel, but she turns heads. There’s a reason why simplicity is so beloved. Use the band as the ring’s conversational element. To infuse personality into a low-profile ring design, use sculptured metals that create interest, like this twisted rope design. A tapered metal band embraces the minimalist design without being too basic. 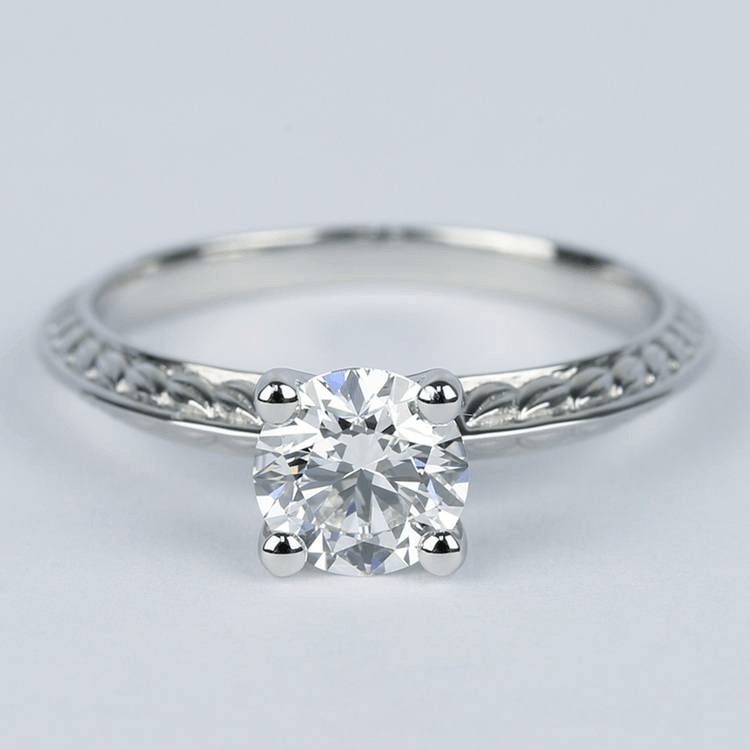 The tapered width of the band draws the eye to your choice of a center stone. A smaller carat center stone keeps the look low-key. Simple, solid bands are a traditional choice and the ultimate in minimalism. 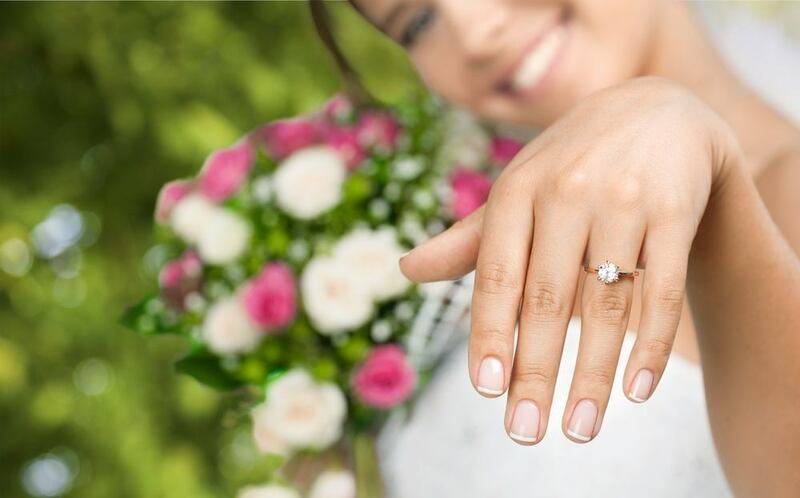 Select a thinner band to keep the look of the ring as unobtrusive as possible. 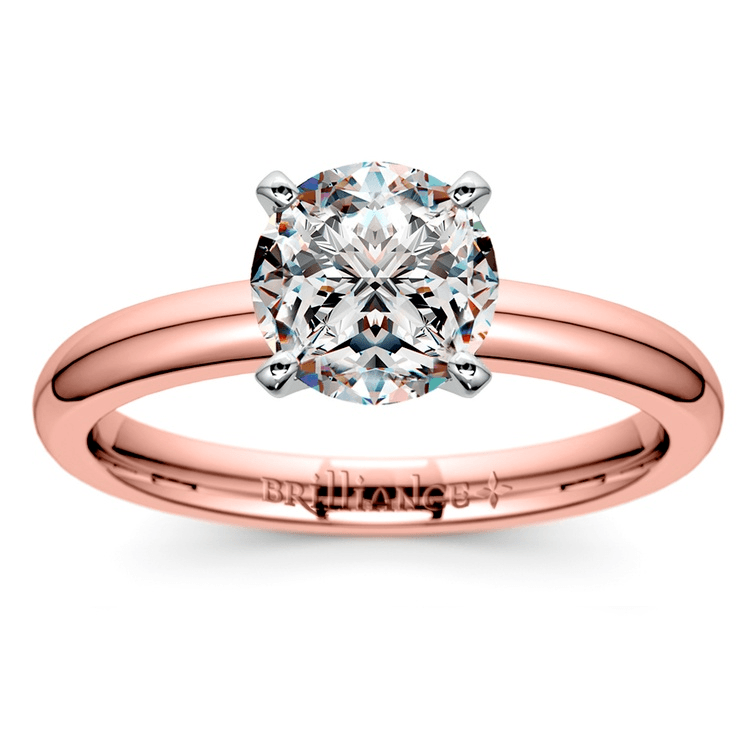 A half-carat round brilliant diamond set within this 2mm rose gold band is the ultimate in stunning simplicity. Bezel settings encase the diamond or center gemstone in a halo of metal. 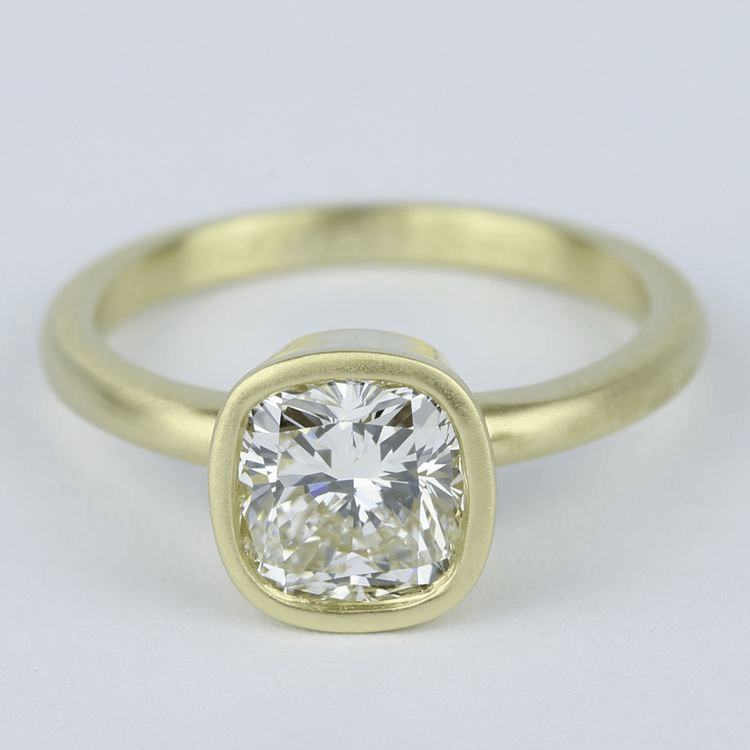 This setting protects the stone and is a modern, minimalist design. Choose a satin finish for a casual styling to this sculptural setting. Plain metal bands aren’t the only way to create a stunningly minimalist design. 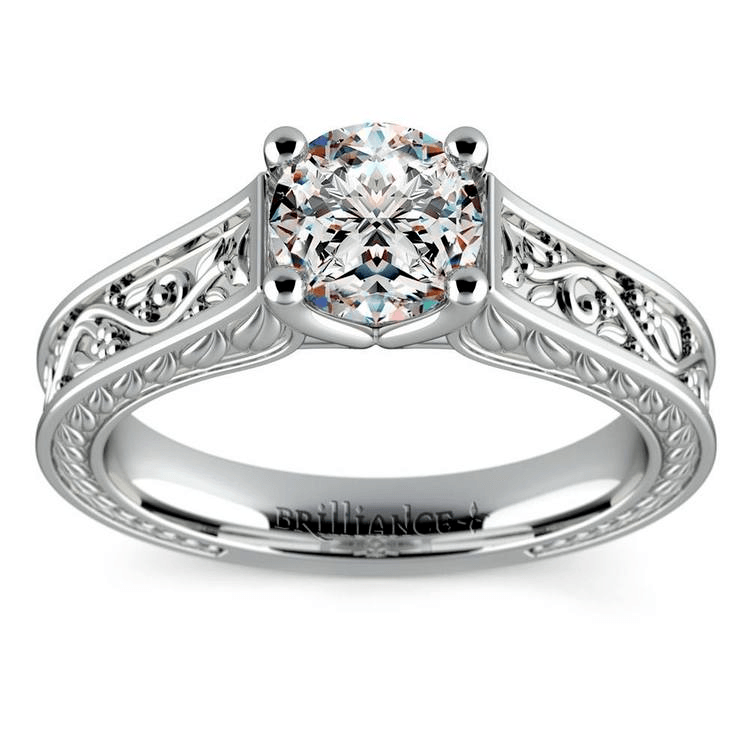 Choose settings that feature romantic etchings, like this antique floral solitaire setting. An emerald or Asscher shaped diamond adds sleek vintage elegance to this setting, and the regal step facet cuts found within these shapes keep the ring understated. Romantic designs can decorate a flat band without overwhelming it. This knife-edge band features delicate leaf and floral designs on the top and bottom of the ring. Keep the centerpiece stone simple and clear to play well against the light-hued metal. Large diamonds aren’t for every woman. Some want dainty centerpieces that look refined on the hand, and these smaller center stones may be bordered by diminutive diamonds encrusted within the band. While there may be more sparkle in the ring because of the extra diamonds, these tiny accents don’t overwhelm the simplicity of the ring’s design. 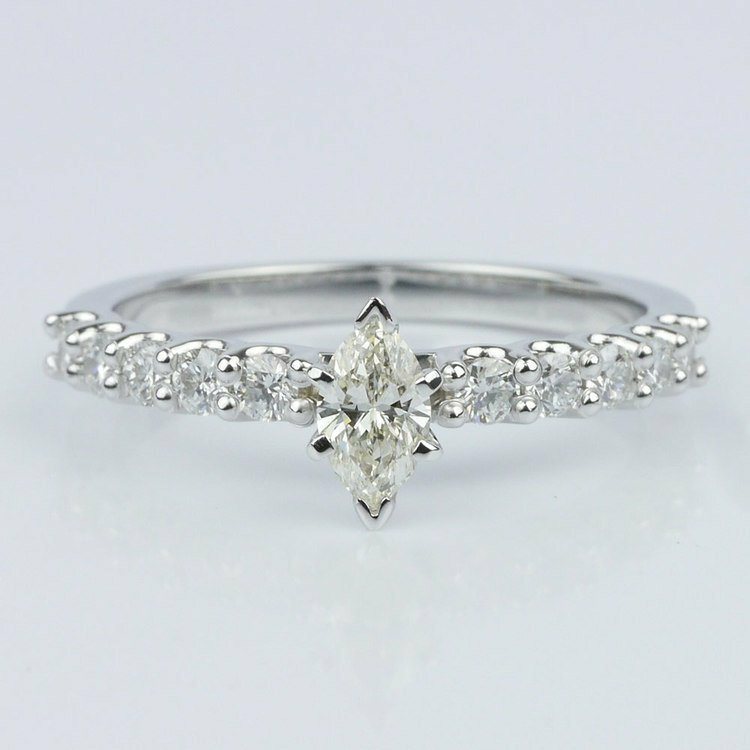 This nearly 0.30 carat marquise center stone is set within a white gold band dazzling with tiny white diamonds nestled in a U-prong design. 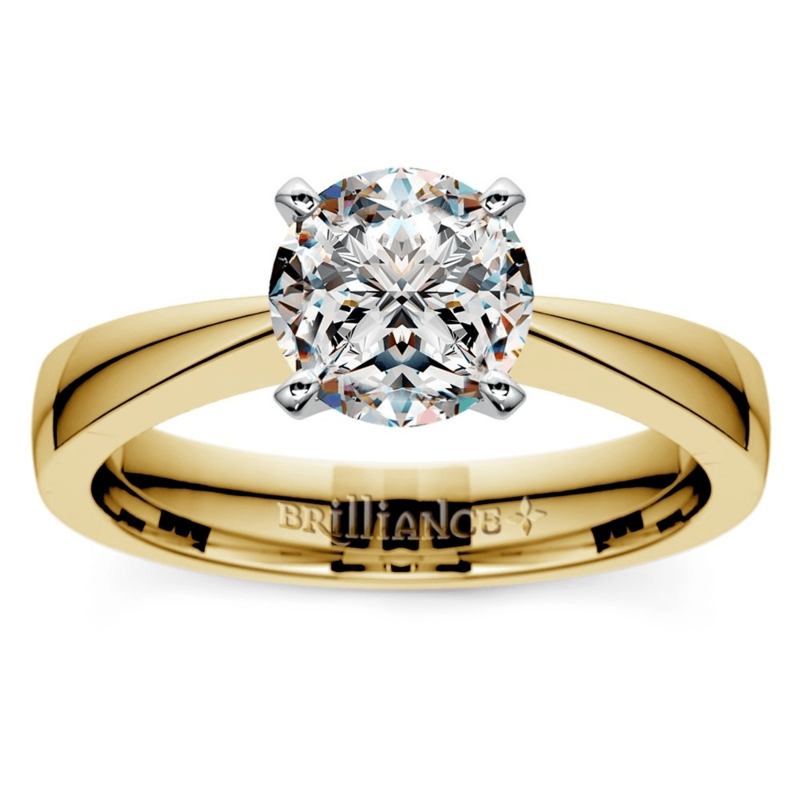 For this style of setting, keep the center stone below a half carat for a stunning but simplistic ring. There is no diamond shape more romantic than that of the heart engagement ring. 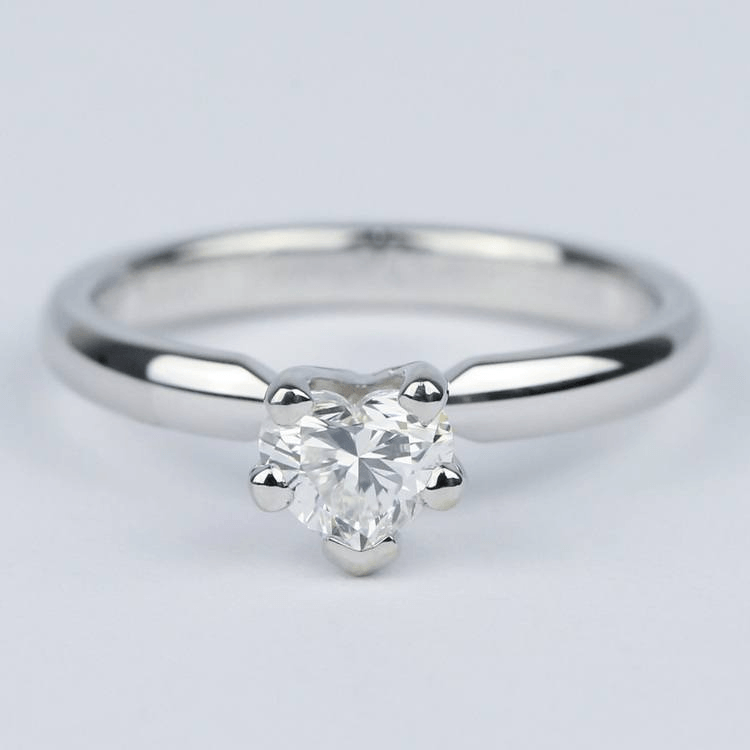 This nearly-colorless heart-shaped diamond sparkles solo against a dainty, white gold tapered band. The ring is simple, but the unique diamond shape adds an exquisite design element. Simple engagement rings are on-trend and convey a low-key elegance and beauty. All of these rings feature their own unique, understated design elements while making a fashion-forward statement. Use sculpted metals, romantic details, shapely stones and dainty diamonds to create your own minimalist Brilliance.